major challenges. T2DM patients often end up on insulin, which is expensive and can lead to serious side effects. Food" and must be used under a physician supervision. 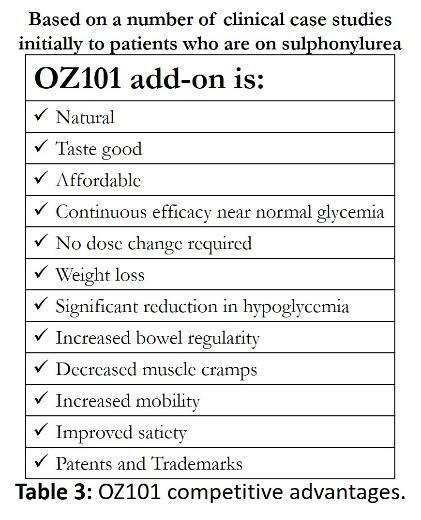 To receive free samples of OZ101 prebiotic, please do not hesitate to contact us at "info@ozstartherapeutics.com". 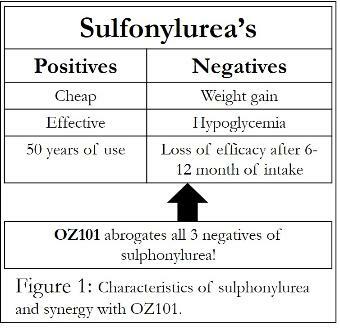 synergy between sulfonylurea and OZ101. Based on a number of clinical case studies, competitive advantage of OZ101 is highlighted below.